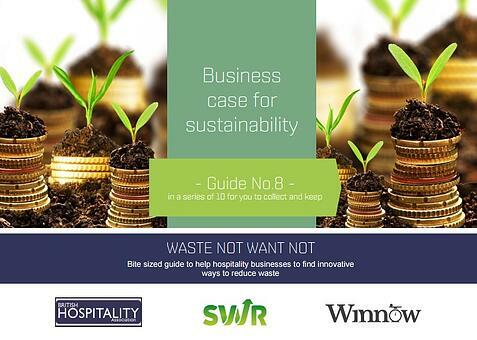 In the new edition of the Waste Not Want Not series Winnow, SWR and BHA collected some advice on how to make Corporate Social Responsibility (CSR) initiatives a success within your business. Our guide focuses on approaches for “making the case” for CSR projects and introduces a business case example with useful tips from how to engage staff on sustainability to waste reduction. To get your finance team interested in your CSR projects it is essiantial that you speak their language and prove with data that sustainability can address financial challenges. Our step by step guide will help you design your project to ensure that your sustainability efforts succeed over time. We’d be interested in learning about your experiences. What are your tips for building the business case for CSR? If your business has an impressive story on it please share it with us.